America, it turns out, is a very religious nation. A recent poll of Americans by the Pew Research reports that 8–in-10 Americans say they never doubt the existence of God, three quarters (76 percent) of the public say prayer is an important part of their daily life and the same number believe that they will have to answer for their actions before God. A majority of Americans are affiliated with a church, synagogue, mosque or other religious institution. Living in a country with such a high overall rate of religious participation, it might seem that religious liberty for all would be guaranteed and protected. Unfortunately, that is not the case. Religious liberty, which is not only the right to freedom of worship, but also the right of citizens of all religious faiths to contribute to the common good without compromising their religious convictions, has, in recent years come increasingly under threat. Like any freedom, religious liberty requires constant vigilance and protection, or it will disappear. As many of you are aware, the Federal Government is requiring religious institutions to facilitate and fund insurance coverage (many Catholic institutions are self-insured) for contraception, sterilization and drug therapies that prevent fertilization and in some instances may induce abortions. This mandate by the Department of Health and Human Services would require religious institutions that employ or serve those who are not members of their religious denomination to choose either to follow the tenets of their faith and face government fines and other penalties or to violate their deeply held beliefs. It is evident that our First Amendment right in exercising religious freedom is very much a part of our nation’s history. If religious freedom and religious liberty is lost within the United States, how could we as a Country ever speak with credibility in addressing the rights of others in countries throughout the world? 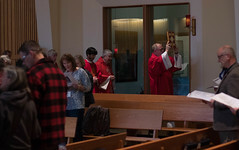 In light of the need to stand up for religious liberty, the Catholic Church in the United States will conduct a Fortnight for Freedom from June 21, the liturgical feasts of Sts. Thomas More and John Fisher, the great exemplars in our Catholic tradition of the rights of conscience in the face of state power, and conclude on the 4th of July. These days will be a national campaign of prayer, study, teaching and witness for religious liberty. Nationwide and here in Southeast Alaska, these two weeks will be a great hymn of prayer for our country. 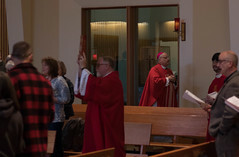 Here in Alaska, the three Roman Catholic bishops will have a special Mass in his respective cathedral on the Fourth of July and we have asked that all our church bells throughout the state of Alaska ring for freedom at noon on that day. 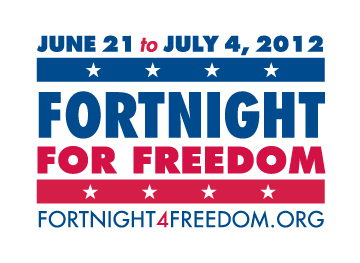 It is my hope and that other Christians, Jews, Muslims, people of other religious traditions and all who value our civil liberties will join us during this “Fortnight of Freedom” in celebrating and defending our most cherished American freedom, the freedom of religion. From my perspective, if our religious liberties are dismissed or taken away by the government, then we could no longer claim to be a land of the free.